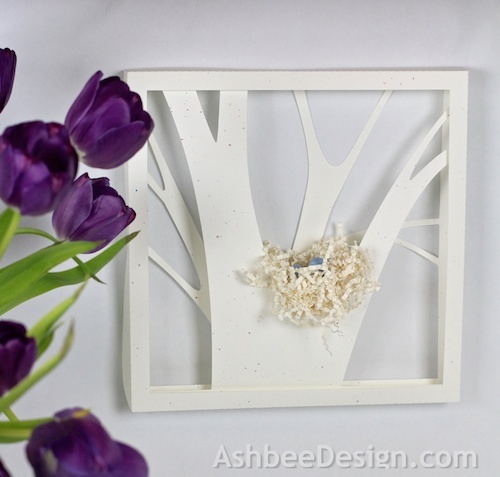 Ashbee Design: I Am A Contributing Artist to Silhouette! It finally happened on Monday! I have been working with the folks on the design team at Silhouette for a couple of weeks to get some of my files ready for the Silhouette online store. And now it is a done deal. I have been approved as a Contributing Artist. This means I can add up to 10 new designs a week to their online store. Those of you that have been following me for a while know that I got a Silhouette Cameo cutting machine for my birthday late last year and I have busy creating with it ever since. I decided to upload my shadow box series of projects first so as of NOW the cutting files for the following can be purchased from the Silhouette online store! 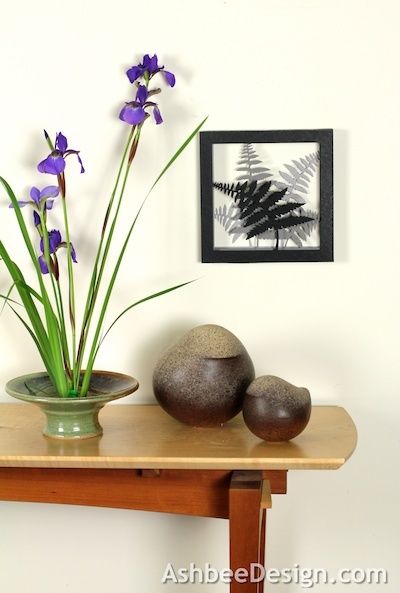 I love the oriental flavor of this shadow box. This was my first shadow box composition made especially for a long wall in my newly renovated laundry room revealed here. This design is the "out of the gate" favorite from the online Silhouette store. They wouldn't let me show it with the bird's nest in the online store because that isn't made on the Silhouette, but I can show it that way here! This is my most recent design. It certainly is easier getting files ready for Silhouette now that I know how they want them formatted. This is all very exciting for me. I knew I wanted to share some of my creative ideas with the world and had been thinking of publishing an eBook. That may still happen but working through the Silhouette online store gets things rolling as I still gather my wits about me to write and publish an eBook. And I can't tell you how it helps the creative juices to not only get flowing, but to also be productive! So many ideas....so little time. 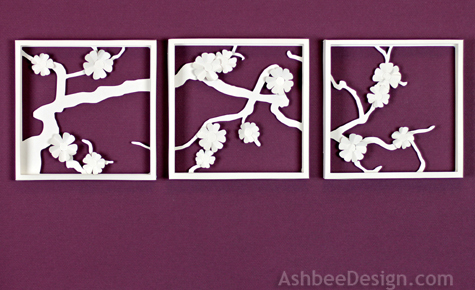 To supplement my cutting files, I have created a new website with tutorials. My Silhouette projects so far are a little different from most of the files in the store, and although not complicated, having a few assembly instructions would be helpful. I tried adding instruction in the downloaded file but that was clogging up the speeds so Silhouette had me take them out. 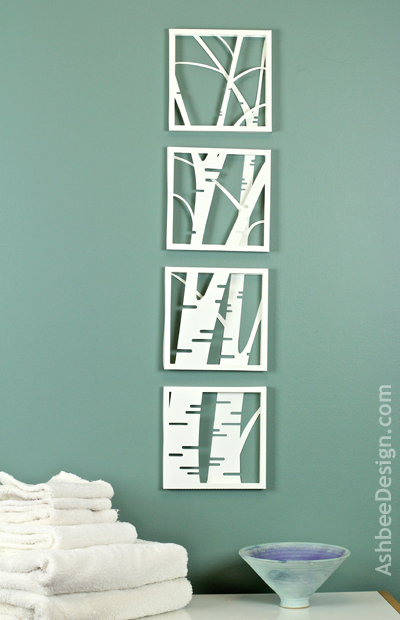 I launched Ashbee Design Silhouette Projects this week to provide the additional directions. 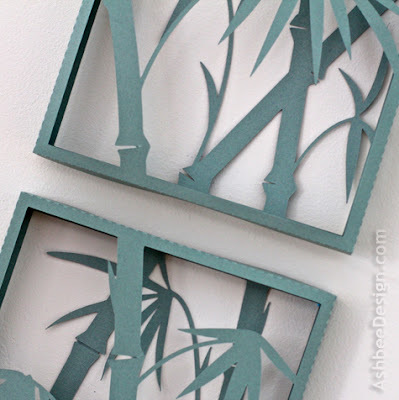 It is a website dedicated to tutorials for the cutting files and I have five posts over there to go with the uploaded files. It has been a busy week for me! Congratulations, Marji! From newbie to Silhouette designer in less than a year, wow. Your designs are lovely and definitely more sophisticated than most of the Silhouette fare. Good luck with them. Judy B! Thank you so much. You were so instrumental in getting me going in this. I so appreciate the list of online sites and resources you shared with me when I was a newbie. Look were it has gotten me. And new ideas every day! Thank you, thank you! Congratulations Marji!You give me motivation to actually buy a Silhouette. Is the Cameo the new smaller version or is it the bigger one? Is one model preferable for doing your designs? The Cameo is the larger one. The larger a cutting machine, the larger your design. All of mine can be made smaller - the finished project is smaller then as well. I find I prefer the option of the large size, and do indeed use it often. Check Amazon! Seeing the sales on Silhouette certainly is inspiring! More designs to come for sure! hi i think it is a little late for congrats on becoming a silhouette artist. but hey i am happy for you, i have bought some of your files on silhouette design store and absolutely love it. can you please tell me what did you do to become a artist in the silhouette store i send them a ton of email but they never respond to my mails, what must i do to become a artist as well.